The Badrinath Ki Dulhania star then shared a poster of Street Dancer 3D in which Varun is seen lifting up his co-star Shraddha Kapoor. 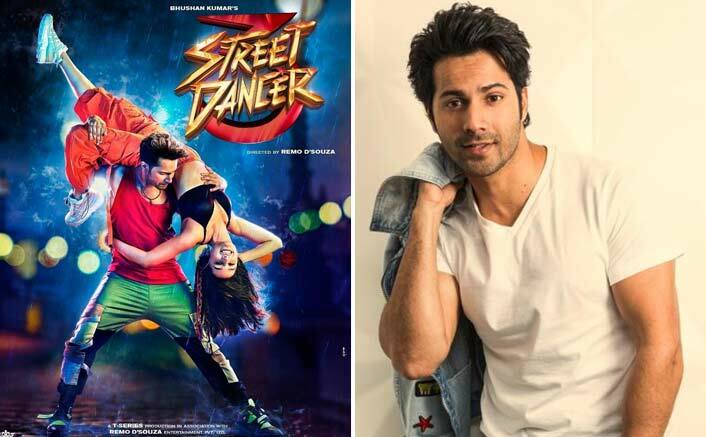 Actor Varun Dhawan, who is reuniting with Prabhudheva in the upcoming film “Street Dancer 3D“, says he has always looked up to the choreographer-filmmaker-actor. Varun on Wednesday took to Twitter, where he shared a photograph of himself along with Prabhudheva. “Oh Deva re Deva aya Prabhudheva. The God of dance Prabhudheva ‘Street Dancer 3D‘. Very excited to work with this man again. He is someone I have always looked up to,” Varun captioned the image. Varun and Prabhudheva had previously worked together in Remo D’souza’s directorial ABCD 2 in 2015. “This has to be the most difficult poster shoot of my life. P.S. Shraddha Kapoor is very light to carry, but I nearly broke her in half ‘Street Dancer 3D‘,” he wrote. Uri: The Surgical Strike Box Office Day 26: Countdown For The 200 Crore Club Begins! Street Dancer 3D is jointly produced by Bhushan Kumar, Krishan Kumar and Lizelle ”Souza. It also features Nora Fatehi. The film is slated to release on November 8.